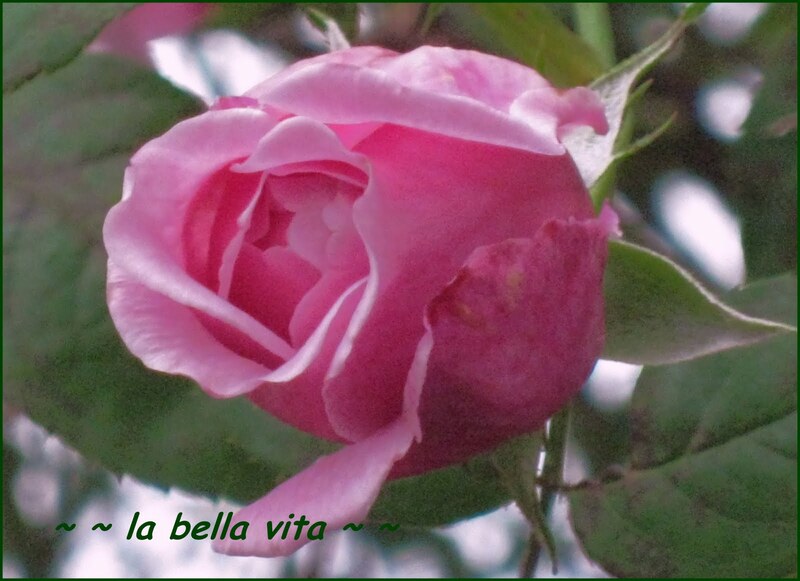 I don’t know what color is most beautiful to you in the garden, but to me, without a shadow of a doubt, that color is PINK! I just adore the loveliness of all the different shades of pink dominating my gardens. 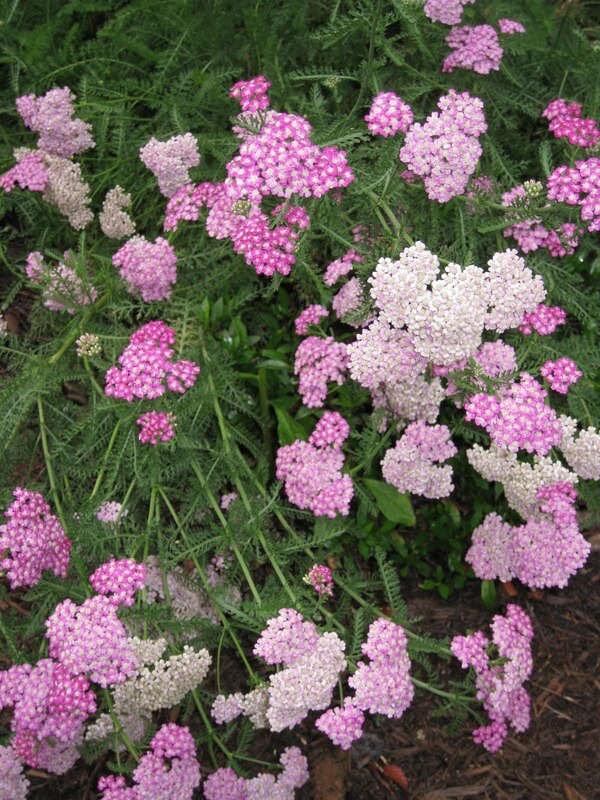 I also plant flowers in soft yellows, blues or whites to harmonize with the pinks. However, I never use orange flowers, and only have one red flower variety: ruby red double Knock-Out roses because they can withstand this Southern humidity so much better than my other roses can. I haven’t posted about my garden since Spring when my bleeding hearts, daffodils, azaleas, and iris were in bloom, so I felt that it was long overdue to ‘take a walk in my gardens’! So come along and see what bloomed this summer on the acreage! znd finally, a fluttering butterfly that is naturally attracted to Ruby Echinacea. Wasn’t he/she nice to sit still long enough for this amateur photographer to take a photo? 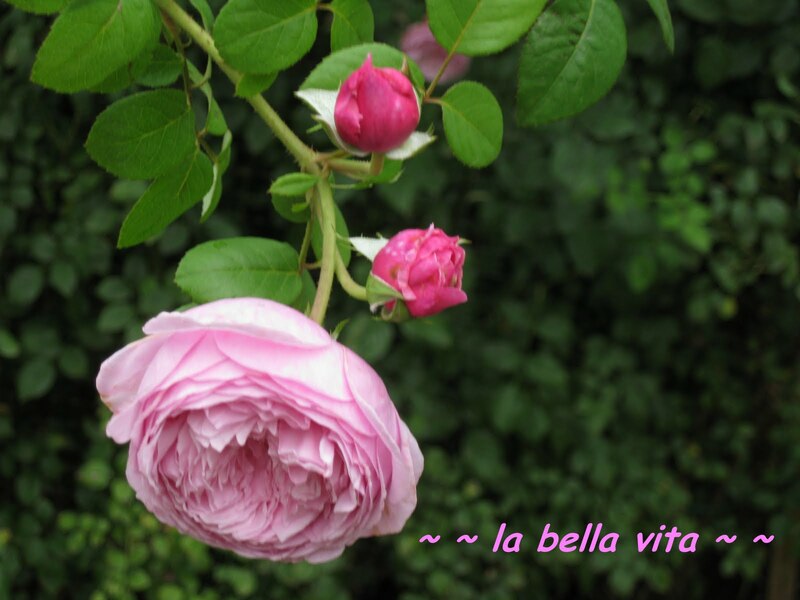 I hope that you have a beautiful day . . .
and that you can get outside and smell some fresh flowers! I’m not really a big fan of pink, except with flowers. And ties. Beautiful! I’m a big fan of pink also. Unfortunately, I have neglected my garden terribly this summer. It’s just so hot to get out there and work. Beautiful Roz.Thanks for sharing your garden with us. These are beautiful Roz, I like your garden very much. 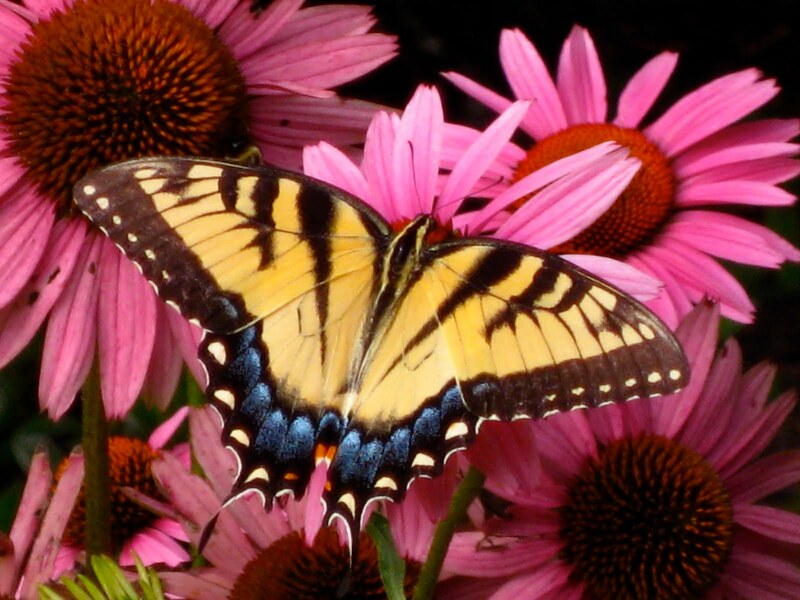 I also plant echinacea, but I don’t really get a visitor (butterfly) yet. I love pink a in the garden but sadly not in Italy in August, the pink has long since gone from our garden. So it was a real treat to view these this evening. Absolutely gorgeous Roz. My echinacea has been gone for a couple of months. I miss it – it’s one of my favorites. The close-ups are fabulous, especially of the butterfly. 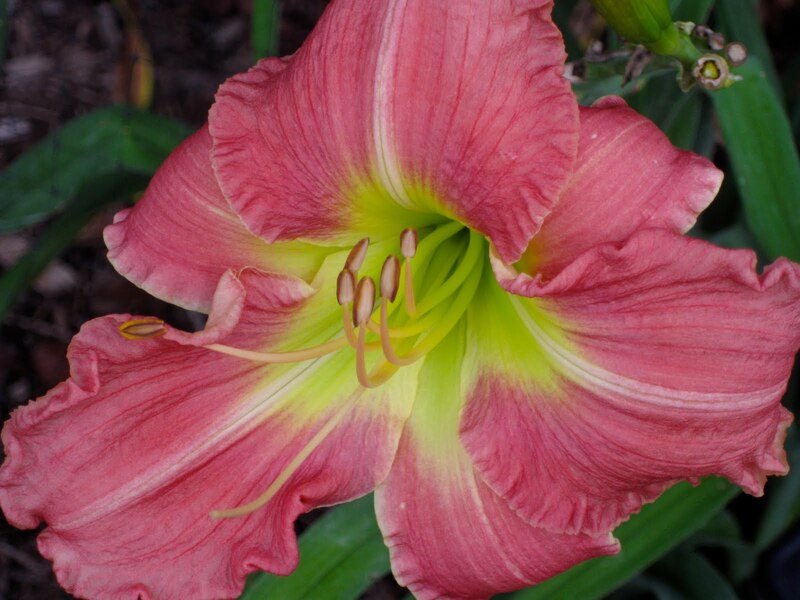 the day lily is beautiful! And how you captured the butterfly..lovely! Gorgeous! The butterfly photo is perfect. 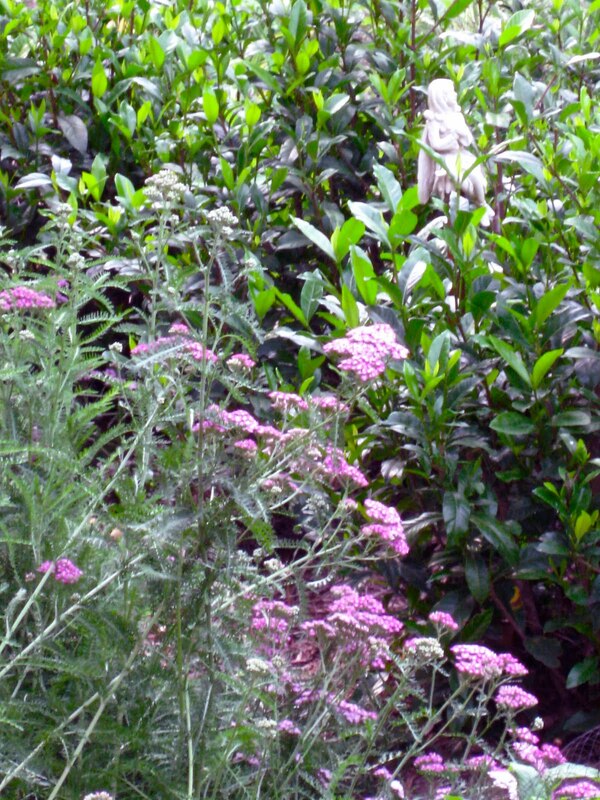 Such a beautiful garden – I love pinks in the garden too. I’m your newest follower from the New Friend Fridays Blog Hop. Roz, these are such lovely photos. I particularly love the butterfly shot. My roses are slowing down a bit, now. Just lovely! I love the pictures! Beautiful flowers! Stopping by from LBS :). Thank you for providing pictures of your gorgeous flowers. 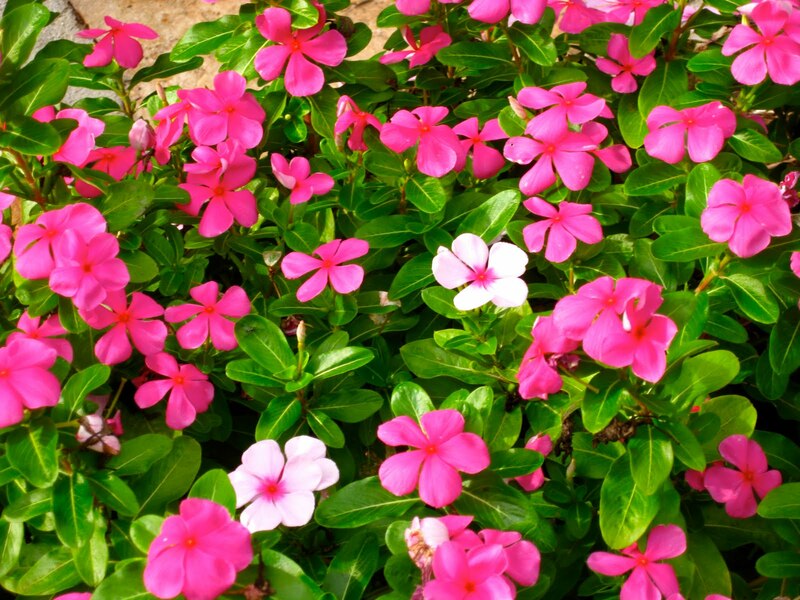 Pink is such a happy color and I know that your garden must be bursting with warm and positive energy. Great blog! stopping by from LBS! Thanks so much for providing pictures of your gorgeous flowers. Pink is such a happy color and I’m sure your garden must be bursting with warm and positive energy. Great blog! Wow, your beautiful sunrise/sunset flower lives up to it’s name! Your pinks are lovely. My garden is on its last legs so I have to get my pleasures from such as yours. By the way, I’m going to try your Italian Cream Cake as it is one of my favorite desserts. 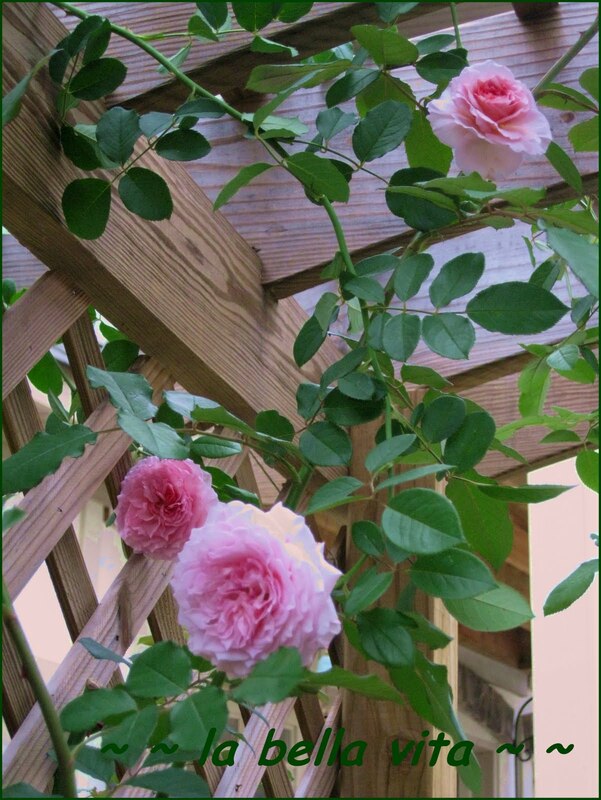 The David Austen rose on the the arbor is my favourite amongst the many gorgeous blooms you shared. I honestly feel like I have died and gone to HEAVEN over here on your beautiful blog! Some of the very recipes I’ve been needing to! I think I might have to come spend an entire day over here! And the BLOOMS are lovely~lovely~lovely! Great pictures. Love the butterfly. Thanks for sharing. Those roses are gorgeous. I can’t grow anything to save my life, but orange and purples are always favorites to look at. Beautiful flowers and gorgeous pictures!! P.S. I added your button on to my sidebar. Thank you so much for adding mine to yours I really appreciate it! Oh my goodness, these are beautiful photos. I love your blog. I’m following from FOLLOW FRIDAY 40 and OVER. Hope you can come on over and visit me. Hi there, I’m so glad that I’ve found you via Java’s blog hop! I virtually “married the mob” 22 years ago when I married my husband who was born to Italian post war immigrants to Australia, and raised as a very traditional Italian. I’ll be bookmarking you to visit more, and am following you on twitter. You’ve certainly taken some beautiful photos for an “amatuer”! I’m dropping by from the Over 40 Follow Friday. Pink is one of my favorite colors – and what lovely photos! Your recipes look amazing as well. My husband and I made our first visit to Italy (Turin) in March. We were absolutely in love with the food! I’m your newest follower from Follow Friday 40 and Over! you have!! It’s jaw dropping!